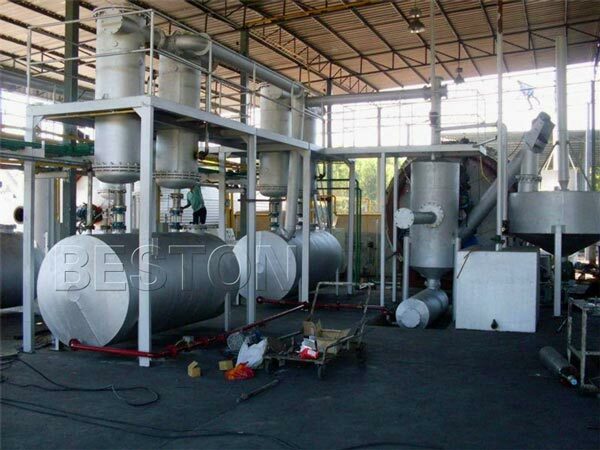 The pretreated tyres will firstly be conveyed to the moving horizontal pyrolysis reactor through feeder system. Then the tyres start to pyrolysis and oil gas will be generated when temperature rises up to 100 degrees. Then the oil gas will be cooled down by spray cooling system, it would be liquefied and then go into the oil tank. At the same time, some gas that can not be condensed to oil will come into hot air circulation heating system by secondary fire retardant damper. Then the gas will be recycled for heating reactor as gas material. 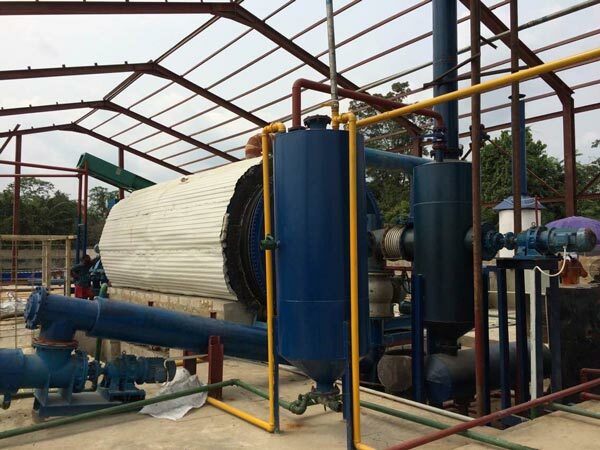 The exhaust gas goes to the strong spray dedusting system for removing pollution, then the released gas will be environmental and can be discharged to the air. 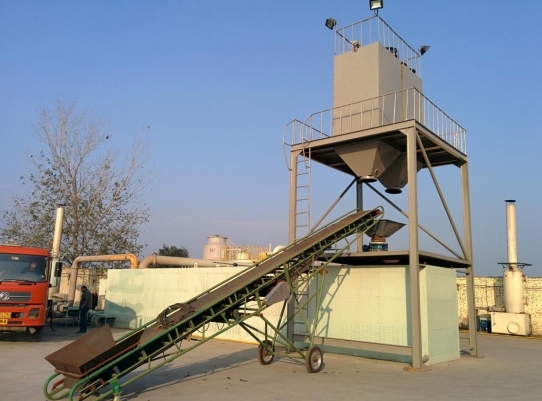 After finishing oil production, the slag will be discharged automatically by two sealed discharging systems. 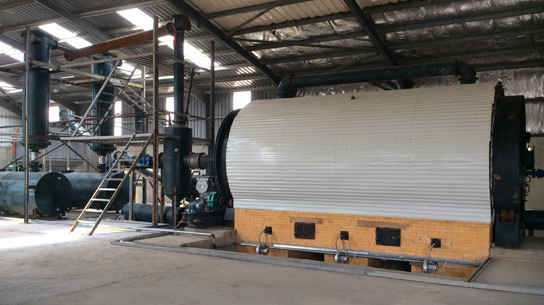 In order to guarantee safety, energy saving and environmental protection in the whole tire pyrolysis process, the continuous pyrolysis plant is also equipped with advanced safety devices (alarm for over temperature and pressure, auto pressure releasing system, fire fighting devices) and strong spray dedusting system (water spray, ceramic ring filter, washing chamber). Finally, we can get these end-products. 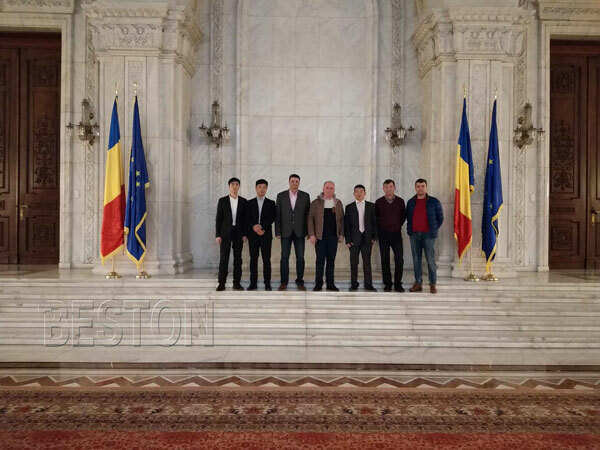 Such as, the pyrolysis oil can be widely used as fuel oil in industries such as steel and iron and boiler factories, ceramics, power or chemical industries or hotels, restaurants etc. or used for generators to get electricity. The carbon black can be used for making construction bricks with clay, or used as fuel. The steel wire can be sold directly or recycled to produce new steel products.